Comfort sea relax, summer hat swim ship sushi sand dollar eco tour buffet apres ski sunscreen. Let your eyes enjoy the fully furnished homes. Designed for rexlaxing and enjoying your getaway. Swim, sailing, fishing! Be entertained and become one with the area. You will fall in love with it within mintues. There is no better way to relax! Your quiet, private vacation home is ready to whisk all your busy lives away. 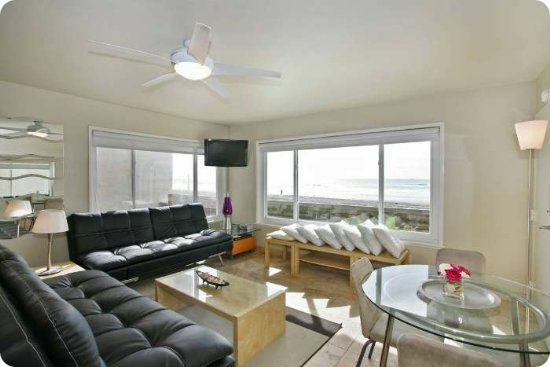 San Diego Beach King Vacation Rentals is the "King" of vacation rentals in Mission Beach, Mission Bay and Coronado. While all those other companies continue doing cartwheels to gain business, the San Diego Beach King stretches out on the sand to take it's rightful place in the sun. Our website has the most current listings, calendars and competitive rates. You have the choice of secure ONLINE BOOKING, or speaking to one of our staff who knows each property intimately. Our staff bring 100% service to the needs of every lucky guest. Pack your shorts, hat, bathing suit and be prepared to have a "aha" beach holiday. Our luxury Mission Beach house rentals are family owned and managed to insure that when you make your first step into your beach house your vacation starts on the right foot. Our rentals specialize in family, group vacations, destination weddings and corporate rentals or if you are a San Diegan needing a break from the daily grind wanting a different view and put your feet in the sand. Gather your posse to enjoy the ample sunshine, sunset splendor, oceanside views and memory making fun times. All of our luxury Mission Beach Vacation Home Rentals are packed with the finest amenities to make your stay as comfortable as possible. The Mission Beach boardwalk spans over three miles of ocean front and is considered the trendiest beachfront neighborhood, offering many activities for the young and old. Delicious food, great shopping, nightlife, surfing, biking, sun tanning, Belmont Park with the infamous Giant Dipper wooden roller coaster and much more. Located at a convenient distance are the best attractions, SeaWorld, San Diego Zoo & Wild Animal Park, Water Parks, Legoland, Gaslamp District, Little Italy, La Jolla and so much more! Be sure to check our Mission Beach Local Area Guide to save on ticket prices before you arrive to your Mission Beach Rental. Our premier Mission Beach property, "Sleek Retreat" was named the "House of the Year" and recently nabbed the eyes of HGTV to jump start their new series, House Hunters on Vacation. Click here for Virtual Tour. Click here for Virtual Tour of this luxury Mission Bay Vacation Rental.